Bedok Town Park | JustRunLah! Go for an easy jog or ride along the long and linear path at Bedok Town Park. 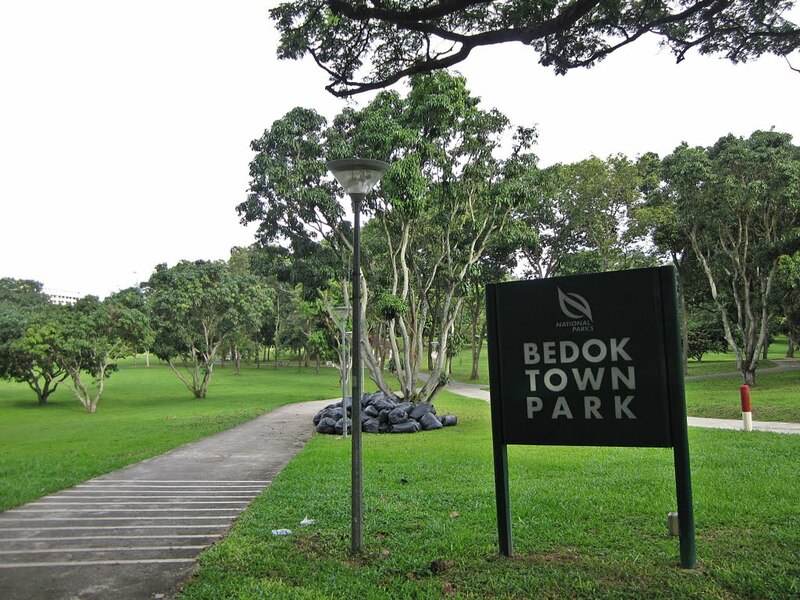 With long, flat and linear cycling and jogging tracks and a myriad of fitness equipment, Bedok Town Park is a popular place for nearby residents to gather for recreational activities. It is situated on Bedok North Avenue 3, bounded by Bedok North Road, Bedok North Avenue 3 and the Pan Island Expressway. The park is built on an undulating terrain with high mounds, and offers avid cyclists and runners a challenging workout. Those looking to relax can walk on the foot reflexology footpath and have a foot massage. Families can also picnic under the shade of the many trees found around the park, while enjoying the tranquillity of the park. The cycle tracks and jogging tracks each runs about 1.4 km and 2 km long respectively. Runners or cyclists can extend your routes to other parks, as the path links Siglap Park Connector to Bedok Reservoir and towards Pasir Ris Park and East Coast Park on the opposite direction.